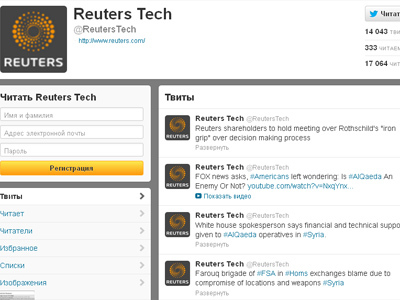 The Syrian hackers who gained control of the AP Twitter feed before sending stocks tumbling with a hoax message of an attack on Barack Obama, have told RT Arabic that the hoax is a response to a US media ‘assault’. 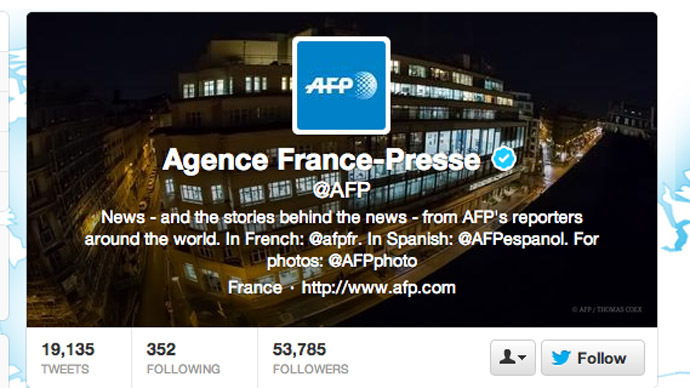 “US news agency Associated Press, alongside other Western news outlets have been engaged in a media war against Syria. But with our infiltration, we have shown that we can fight off any assault,” an anonymous source within the clandestine hacking organization Syrian Electronic Army (SEA) told RT. 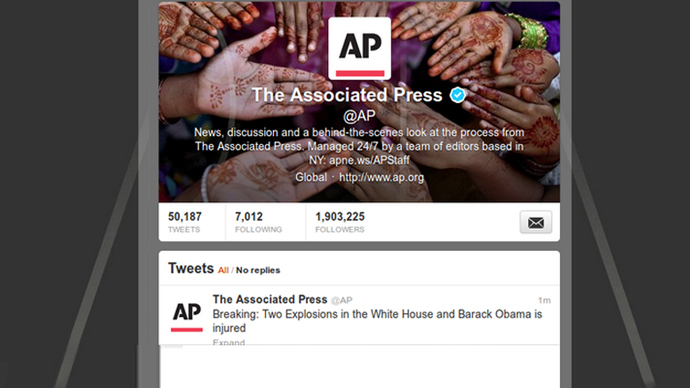 On Tuesday, the official AP account on Twitter, which had nearly two million followers, posted the following message: “Breaking: Two explosions in the White House and Barack Obama is injured”. 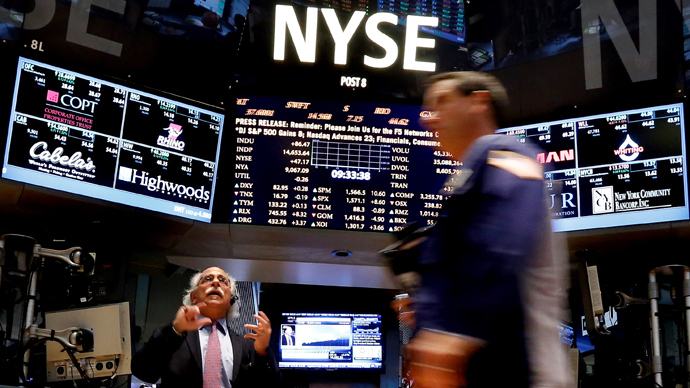 The news was quickly denied, but not before the Dow Jones stock exchange fell by 1 percent, and $200 billion dollars was wiped off the entire market (stocks bounced back later in the day). SEA then claimed credit for the attack on its page on Twitter and Facebook. 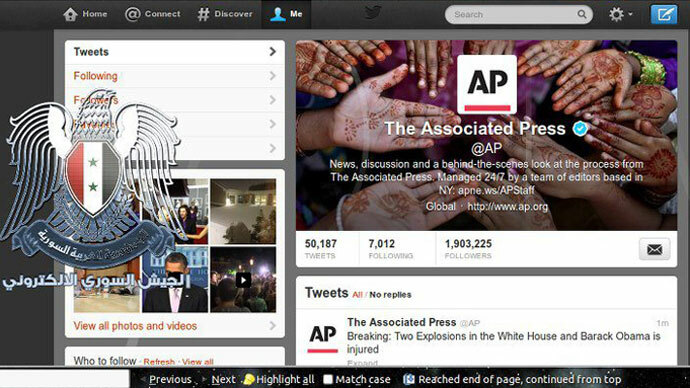 “The Obama tweet was an expression of our outrage with US media. The tweet was a bolt from the blue for the White House. 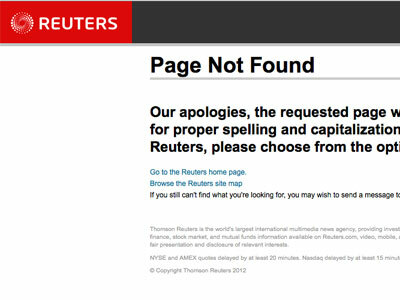 We completely achieved our objectives – the shares of US media fell temporarily,” said the source. The AP break-in was the latest of a series of high profile ‘penetrations’ by the group. In each case, the target has been a supporter of the anti-government forces in the conflict that has torn Syria apart over the last two years. "Obama wants to destroy the Syrian and American people. We must stop this beast," said a tweet on the hacked CBS 60 Minutes news program account last week. When the group unlocked the BBC Weather account last month, it posted a series of superficially weather-related tweets. The targets have speculated that access to these accounts was gained when a series of “phishing” emails were sent to senior employees. The messages asked recipients to click on a newsworthy link that turned out to be a program that recorded their personal details, including a Twitter account password that was then used to access the feed. President Bashar Assad has previously referred to the hackers as "a real army in virtual reality," but the group insists it is not an arm of the Syrian authorities. “Our attacks are organized by activists both inside and outside Syria – though all of the members of the group are Syrians. But, we are an independent organization without political affiliation, who are merely thwarting a media assault on our country,” said the SEA source.